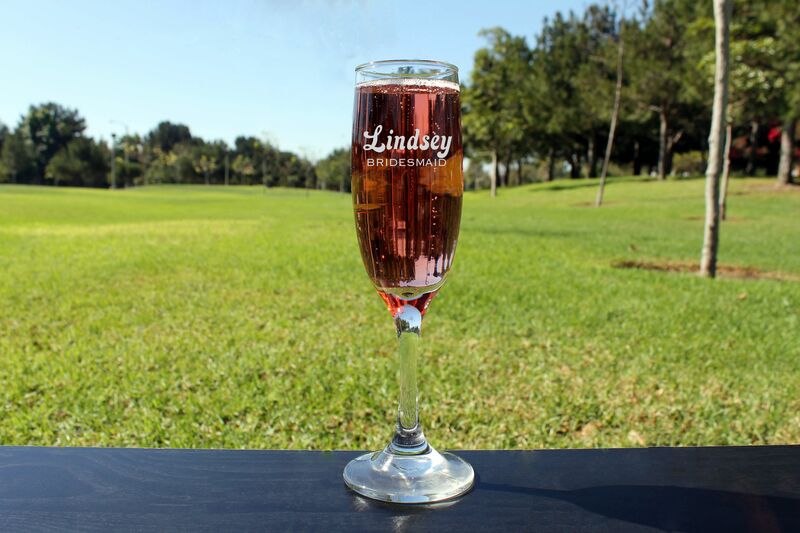 Our customized Champagne Flutes are sure to be a great gift for any occasion. Our high quality glasses are engraved with precision on our laser engraver which allows endless customizations of your choosing. Perfect for the Bride, Bridesmaid, wedding party, and housewarming gifts.